I’ve often been told that “appearance is everything” and with that in mind, let me ask you? Does your house look like this from the street? This street curb bed planting was initiated with an annual planting in early May of 2016. By July 1 you can see these splashes of colors and different textures and forms from your car driving down the street. Boy if we all lived with the environment in mind and as our top priority, maybe our towns would look a little more like the one in the image above. Oh boy, there I go again; off on another wild tangent of whimsical dreaming? Perhaps so, but With that in mind. 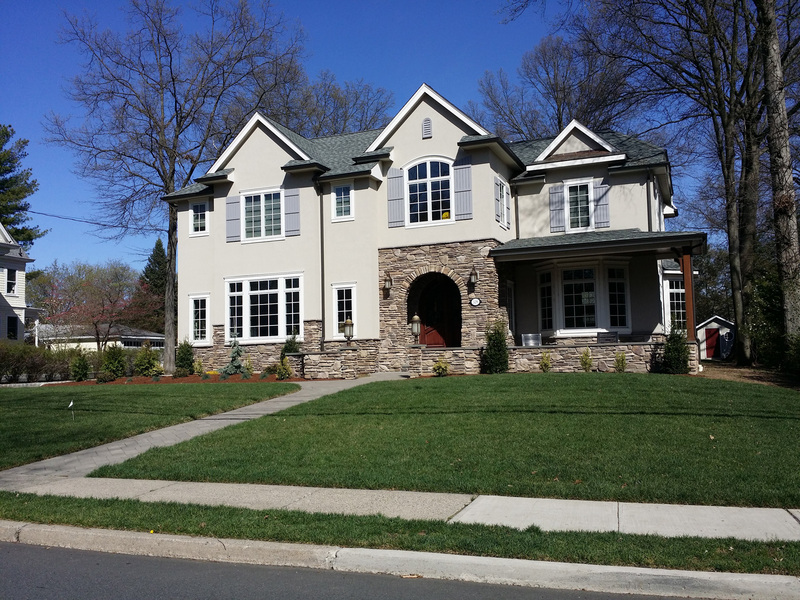 Almost Perfect Landscaping of Bergen County encourages “going green” to help the environment. As such, water conservation in New Jersey is a big issue. Irises, those tall and elegant garden standards are among the easiest to grow of all our flowers in the garden beds. One of the benefits of growing bearded iris (Iris spp.) is the ability to share them with friends or add them to other garden areas when you dig and divide them every few years. This keeps the iris performing and blooming at its peak. If left undivided, flowering decreases and the rhizome is subject to pests and damage from soft rot and borers. Large, showy flowers appear from early spring into summer, depending on the cultivar, in all colors and color combinations, giving iris the name of rainbow flower. Bearded iris grow in U.S. Department of Agriculture plant hardiness zones 3 through 10. Everyone loves watching them flirt by or hover nearby. So how do you draw them in? You are certain to lure lively Hummingbird Feeding into your backyard gardens with these plant selections. One good way to enjoy the company of hummingbirds is planting a hummingbird garden. The flowers detailed below will provide them with a rich and natural diet. I’ve always been taught that “patience is a virtue” and this spectacular display of spring color is an example of such. These beds were originally planted back in mid-October (see Haworth NJ Landscaping) with masses of daffodil bulbs. We chose daffodils because of the large deer population; because deer, as a rule, tend to stay away from daffodils. Only members of the Amaryllis family, which includes daffodils, snowflakes and snowdrops, are truly deer and rodent proof. The earliest history of Mothers Day dates back to the ancient annual spring festival the Greeks dedicated to maternal goddesses. The Greeks used the occasion to honor Rhea, wife of Cronus and the mother of many deities of Greek mythology. Ancient Romans, too, celebrated a spring festival, called Hilaria dedicated to Cybele, a mother goddess. It may be noted that ceremonies in honour of Cybele began some 250 years before Christ was born. The celebration made on the Ides of March by making offerings in the temple of Cybele lasted for three days and included parades, games and masquerades. The celebrations were notorious enough that followers of Cybele were banished from Rome. This stunning architectural style home was completely naked. We needed to be very careful of the plant selection because of the heavy deer population. Another strong consideration was not to have the landscape detract from the beauty of the stone facade. The back yard at this residence in Hackensack, New Jersery was non-existent. There was none. 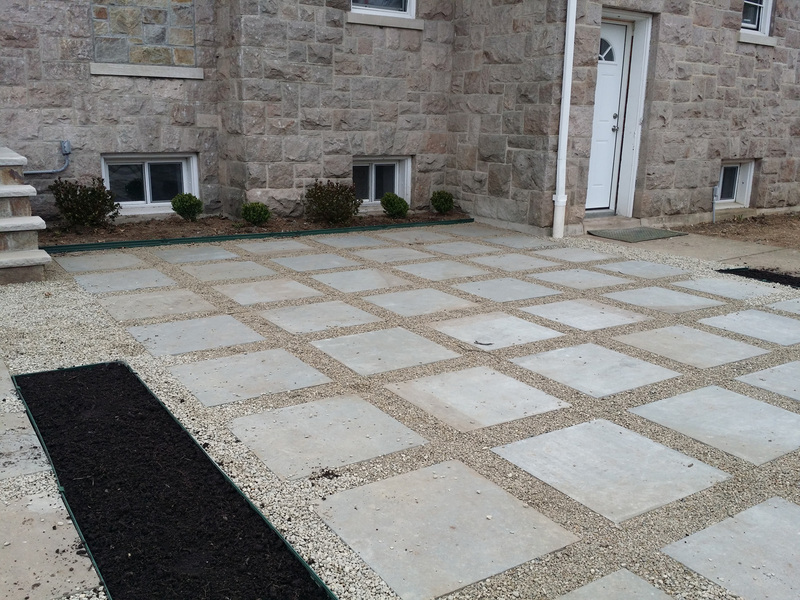 In lieu of this we installed a thermal bluestone patio with the larger stones 24 inches by 24 inches (2 ft. x 2 ft.) with 6 inches of pea gravel in between to give it a more modern look as requested by the customer. Bluestone patios add a traditional, elegant look to any outdoor living space and this one was no exception.